Here, Badkhen discovers, all boundaries are permeable--between land and sea, between myth and truth, even between storyteller and story. Fisherman's Blues immerses us in a community navigating a time of unprecedented environmental, economic, and cultural upheaval with resilience, ingenuity, and wonder. 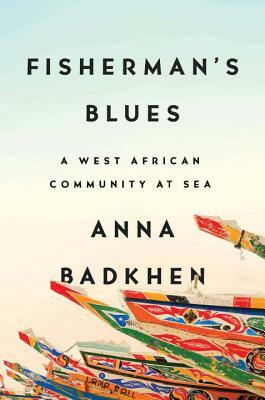 Anna Badkhen has spent much of her life in the Global South. Her immersive investigations of the world's iniquities have yielded six books of nonfiction, most recently The World Is a Carpet: Four Seasons in an Afghan Village and Walking with Abel: Journeys with the Nomads of the African Savannah. Badkhen contributes to The New York Times, Granta, The New Republic, and Foreign Policy. "Lyrical, precise, and lucent...a highly absorbing chronicle of a transcendent journey."